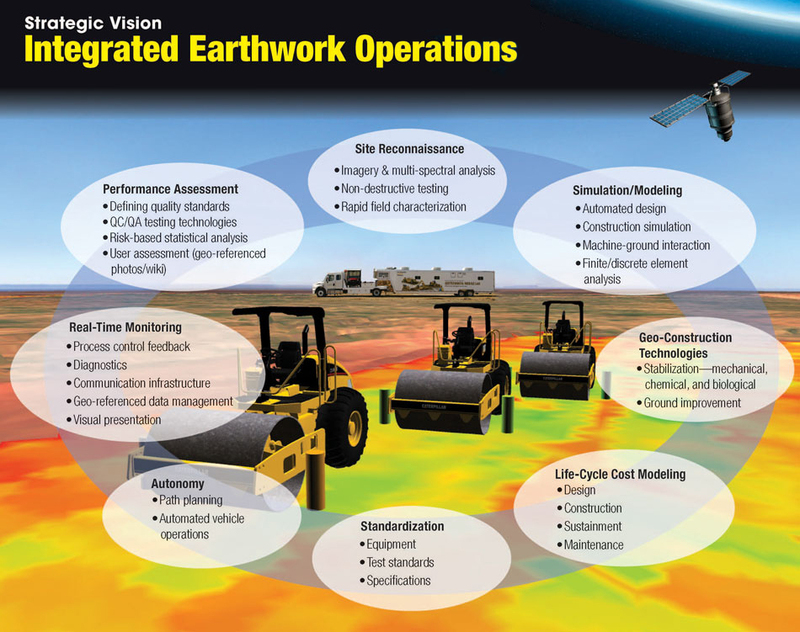 An integrated earthwork operations system (IE-Ops) increases earthwork productivity, quality, safety autonomy, assessment, modeling, and longevity. These improvements will lead to better information for resource investment, sustainable practices, and longer lasting infrastructure. This illustration defines focus areas for research to develop the IE-Ops.